As Florida's population continues to grow, so does the number of motorcycle enthusiasts on the road, which makes motorcycle safety an important issue. The number of motorcycle crashes, injuries, and fatalities in the United States has increased in recent years, and the State of Florida has shown the same trend. The charts below reflect some startling statistics. From 2008 to 2011, the data reflects a 10.4% reduction in crashes and a 15.5% reduction in injuries. There is a 15.2% increase in crashes, and a 7.6% increase in injuries since 2010. The implementation of Florida’s Motorcycle Safety Coalition and the new rider training requirements that were put into place in July 2008 significantly contributed to the overall decrease. In 2000, motorcycle fatalities accounted for about eight percent of all traffic fatalities in the State, but by 2008 the percentage had increased to 17.8 percent. By 2010, motorcycle fatalities dropped to 14.3% of all traffic fatalities. In 2011, motorcycle fatalities have returned to 2008 levels, accounting for 17.0% of all traffic fatalities. Below are a number of factors that uniquely contribute to motorcycle crashes in Florida. The numbers is Table 3 correspond to 2011 motorcycle crash injuries by age and gender. They are estimated based on values from the FDOT Crash Analysis Reporting System (CARS), and may not match final reported figures. In 2011, more riders age 25-34 were fatally injured in motorcycle traffic crashes in Florida than any other age group, followed by riders age 45-54. The median age of fatally injured riders was 40 years old in 2011. Table 4 shows Florida Motorcycle Traffic Fatalities in Florida by Age and Year, 2007 to 2011 (Note: This does not include motorcycle passenger fatality details). Florida is a popular tourist destination and host to a number of motorcycle enthusiast events. 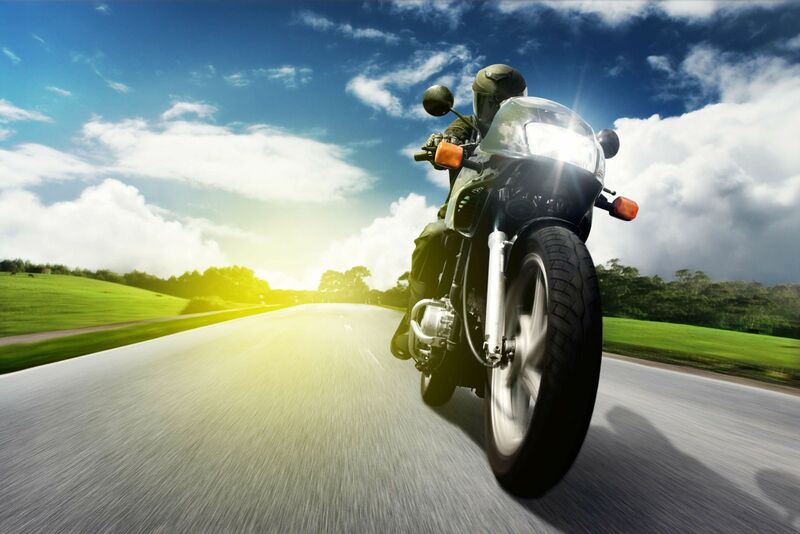 91 percent of motorcyclists fatally injured in 2011 in Florida were also Florida residents. Miami-Dade (39 fatalities), Broward (37), Hillsborough (34), Orange (32), Pinellas (23), Palm Beach (20), Polk (19), Pasco (18), Volusia (18) and Brevard (15) counties accounted for the largest number of motorcycle fatalities in 2011. In 2011, there were 627,613 registered motorcycles. In 2011, registered motorcycles accounted for 3.6% of Florida’s motoring public. In 2011, 18.8% of all traffic fatalities are motorcyclists and their passengers. Since the repeal of the helmet law in 2000, the number of fatal crashes for every 10,000 registered motorcycles increased by 21 percent, suggesting motorcyclists without helmets are more likely to suffer serious and fatal injuries. 53 percent of motorcyclists were not wearing a safety helmet before a fatal crash during 2011. 29 percent of motorcyclist fatalities were related to traumatic brain injuries between 2007 and 2010. 27 percent of fatal motorcycle crashes in 2005 involved alcohol. 20 percent of fatal motorcycle crashes in 2006 involved alcohol. 41 percent of fatal motorcycle crashes in 2008 involved alcohol. 37 percent of fatal motorcycle crashes in 2009 involved alcohol. In Florida in 2011, impaired motorcyclists with a BAC of .08+ accounted for 26% of motorcycle fatalities, while impaired motorcyclists with a BAC of .01+ accounted for 32% of motorcycle fatalities. Nationally, in fatal crashes in 2011 a higher percentage of motorcycle riders had blood alcohol concentration (BAC) of .08 grams per deciliter (g/dL) or higher than any other type of motor vehicle driver. The percentages for vehicle riders involved in fatal crashes were 29 percent for motorcycles, 24 percent for passenger cars, 21 percent for light trucks, and 1 percent for large trucks. In 2011, the percentage with BAC .08 g/dL or above was highest for fatally injured motorcycle riders among the 40-44 (38%) age group, followed by the 45–49 and 35–39 age groups at 37 percent, respectively. One-fourth of all fatal alcohol-related motorcycle crashes involve motorcyclists running off the road, overturning, or falling from the motorcycle rather than striking another object. 28 percent of fatal motorcycle crashes in 2011 occurred during the months of March, April, and May. Approximately 37 percent of fatal crashes in 2011 occurred on weekends. Approximately 32 percent of fatal crashes from 2005 to 2011 involved roadway curves. Passing or overtaking a vehicle accounted for 4 percent of fatalities in 2011, and changing lanes or merging accounted for 2 percent of fatalities in 2011. Information from death certificates issued in 2010 show that 29 percent of motorcycle traffic fatalities were associated with a traumatic brain injury, 35 percent with injuries to multiple body regions, 30 percent with injuries to unspecified body regions, and 9 percent with injuries to the thorax. Unfortunately, death certificates provide limited information about the nature of injuries; therefore, nearly 100 percent of certificates cited at least one unspecified injury as an immediate or contributing cause of death. For nonfatal injuries among motorcycle riders that required hospitalization from 2007 to 2009, injuries to the lower extremities were responsible for the highest percentage of hospitalizations at 35 percent, followed by traumatic brain injuries and torso injuries each at 20 percent. The two most common types of principal injuries sustained in nonfatal motorcycle crashes requiring hospitalization were fractures (67 percent) and injuries to internal organs (23 percent). Upper extremity and lower extremity injuries account for over half of the injuries for motorcycle riders treated in emergency departments from 2007 and 2009. Superficial wounds and fractures together account for over half of injuries to motorcycle riders treated in emergency departments from 2007 and 2009. Motorcycle traffic crashes often result in fatal or serious injuries requiring inpatient or outpatient hospital care and treatment. Fatal injuries, though the most severe, account for only a small portion of the overall injury burden among motorcyclists. In fact, nearly seven times more nonfatal injury hospitalizations and over 20 times more emergency department visits occurred for nonfatal injuries during the three year period from 2007 to 2011. The total hospital charges for the initial treatment of motorcyclists injured in traffic crashes in 2011 was $411,783,763. In 2011, 49 percent of motorcyclist hospitalizations and emergency department visits were not covered by commercial insurance.